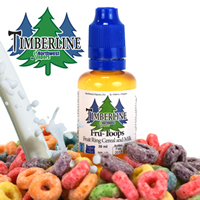 We started with mellow RY4 tobacco, already a favorite for its nutty flavor and caramel overtones, then added extra caramel to create a vape so smooth, you’d never know it was a tobacco flavor. Made in a 20/80 PG/VG mix that produces clouds of vapor. Available in 30 ml Glass or 30 ml Plastic bottles, in 0, 3, and 6 mg/ml nicotine. This is the best ry4+. Everyday vape for me. And the customer service can't be beat.